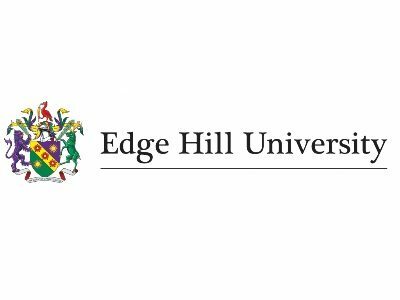 Edge Hill, The Times Higher Awards University of the Year 2014, is a leading campus university with a strong focus on graduate employability, delivering an outstanding student experience. The National Student Survey (2014) places us top in the North West for Overall Student Satisfaction; we have a 95.3% graduate employment rate (HESA Destination of Leavers Survey 2014); and are top in the North West for Teaching Excellence (The Sunday Times University Guide 2013). Edge Hill is keen to support Lancashire’s growth businesses on two fronts: through access to skills and access to our research expertise from within key academic departments. Free graduate vacancy service offered through Edge Hill Works in our Careers Centre. Year-long sandwich (industrial) placements taken by students from a wide range of degrees covering computing, web design and development, business management, accountancy, psychology and media. Summer internships, facilitated across all degree programmes. MA / MSc placements from within computing and business related programmes. Through our three interdisciplinary research institutes, we are keen to engage with business at both an operational and strategic level, applying our knowledge and expertise to problems and opportunities that can deliver real economic impact. Knowledge exchange, research and development collaborations are established frequently with businesses, particularly within our Department of Computing and the Business School. To facilitate these collaborations, the University has had a great deal of success in bidding to secure funding, particularly through Knowledge Transfer Partnerships (KTPs). We also operate a successful student-led consultancy model through our Enterprise Projects Team and Web Factory. In recent years we have delivered projects for businesses operating in healthcare, petro-chemical, retail, security and manufacturing. Make sure you have the right people within your organization and that they have the right skills. People are the most important asset to any organization and investment in their development is key to ensure your growth potential is fully met. Lancashire has a fantastic mix of bustling urban centres and a strong rural economy. There is also a strong pool of talented young professionals being nurtured through the further and higher education sectors. Our graduates are looking for high performing, growing companies to embark upon their careers with. We want to ensure the region is able to retain its talent and that they can prosper in Lancashire.